I meant legend in what he has achieved over a long period of time. Dexter always had the gut under control hence he was called "The Blade". Sadly his gut has protruded lately too. and yes, protruded in an alarming fashion. I'm still a bit shell shocked. Yes. If you read the thread I posted called "The Big Gut" it explains why these guys have the protruding guys. 'Slin, GH and IGF are the main culprits. Word coming in he has passed away. Love him or hate him, he helped bring bodybuilding to the masses. I also have read that Nassers deaths was Complications due to liver and kidney issues, which make sense. But at the end of the day his cause of death was that his heart stopped beating. Noooo. My Mega Mass 9000 will never taste the same again. Seriously though he put bodybuilding on the map although some may argue he was the instigator of these freaks we see today. Yeah a snake oil salesman, only on a huge scale. He stuck his head on Sergio's body lol. Do you remember that Adrian? 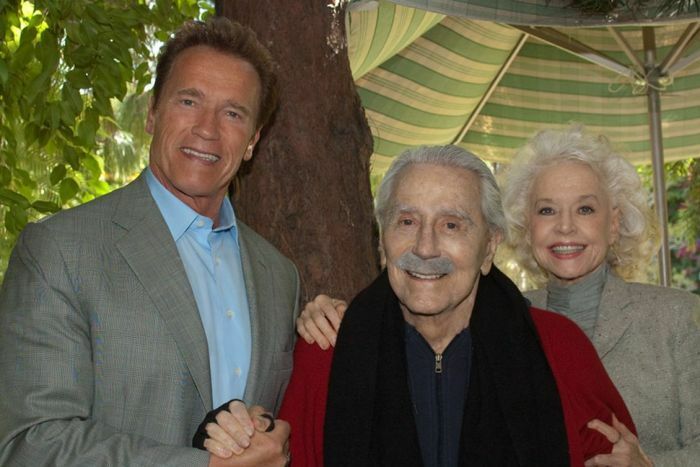 Bodybuilding icon Joe Weider, who created the Mr Olympia contest and mentored a young Arnold Schwarzenegger, has died age 93. Weider was also known for a magazine empire that included such publications as Muscle and Fitness, Shape and Men's Fitness. He died of heart failure, his publicist Charlotte Parker said. Schwarzenegger, who retired from bodybuilding in 1975 and went on to a successful career in action films and then politics, has paid tribute to the man he calls the "godfather of fitness". "Joe didn't just inspire my earliest dreams; he made them come true the day he invited me to move to America to pursue my bodybuilding career," he said in a statement. 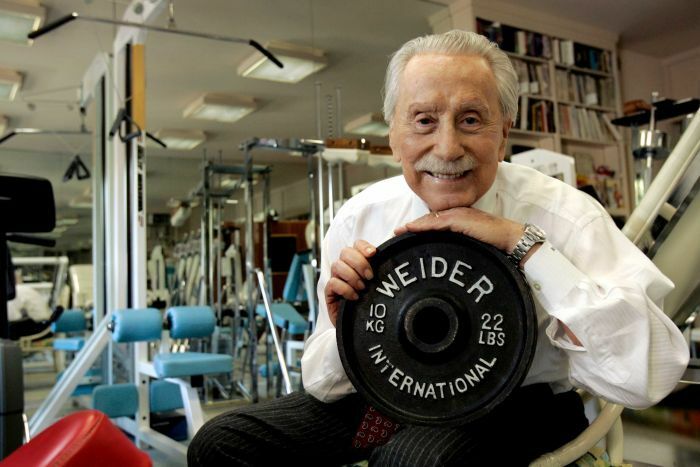 "Joe Weider was a titan in the fitness industry and one of the kindest men I have ever met. "He leaves behind a fantastic legacy of a fitter world. "Very few people can claim to have influenced as many lives as Joe did through his magazines, his supplements, his training equipment and his big-hearted personality." Weider met Schwarzenegger at a bodybuilding contest in Europe and convinced him to move from his native Austria to the United States to seek wider recognition. "He saw a lot in Arnold," Ms Parker said. "He felt that the sport needed a star and right away he could see that Arnold was something special." Schwarzenegger, then nicknamed the Austrian Oak, first gained fame by winning a string of Mr Olympia titles in the early 1970s before going on to a successful career in films including The Terminator and Total Recall. He was elected governor of California in 2003 and served two terms before retiring from politics. "Joe didn't just inspire my earliest dreams; he made them come true the day he invited me to move to America to pursue my bodybuilding career," Schwarzenegger said. 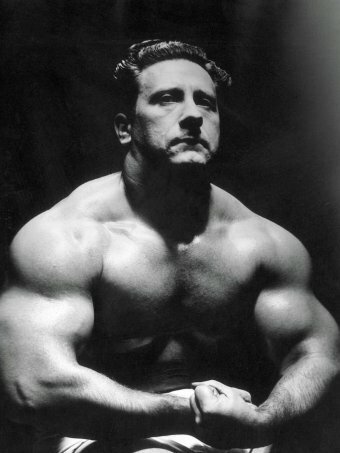 Schwarzenegger also credited Weider with getting him his first acting role - in a movie called Hercules in New York - by claiming that the hulking young Austrian was a Shakespearean actor from Germany. Born in Montreal in 1920, Weider began lifting weights as a teenager to stand up to neighbourhood bullies before competing in his first bodybuilding contest at the age of 17. He started his first magazine, Your Physique, in the early 1940s and with his younger brother Ben rented Montreal's Monument National Theater to host the first Mr Canada contest during that same decade. The two brothers also founded the International Federation of Bodybuilders and in 1965 Weider created the Mr Olympia competition, the sport's premiere bodybuilding contest. Weider, who also created a line of sports nutritional supplements and ultimately founded more than a dozen fitness magazines including Fit Pregnancy, Living Fit and Flex, sold his Weider Publicans to American Media Inc. in the early 2000s. He is survived by his wife of more than 50 years, Betty. No I don't. Why would he do that? He used it on and as his logo. I'm pretty sure it was Sergio and of course he arched up.